However. I still haven’t finished the blue devore blouse (not much left, only some hand stitching) and haven’t even started the jacket to be made with that great leaf-print linen. Although the pattern is finally finished, so it’s not quite as bad as it sounds. So am I really allowed to make something new/different? Heck yeah! That’s why I am cheating. 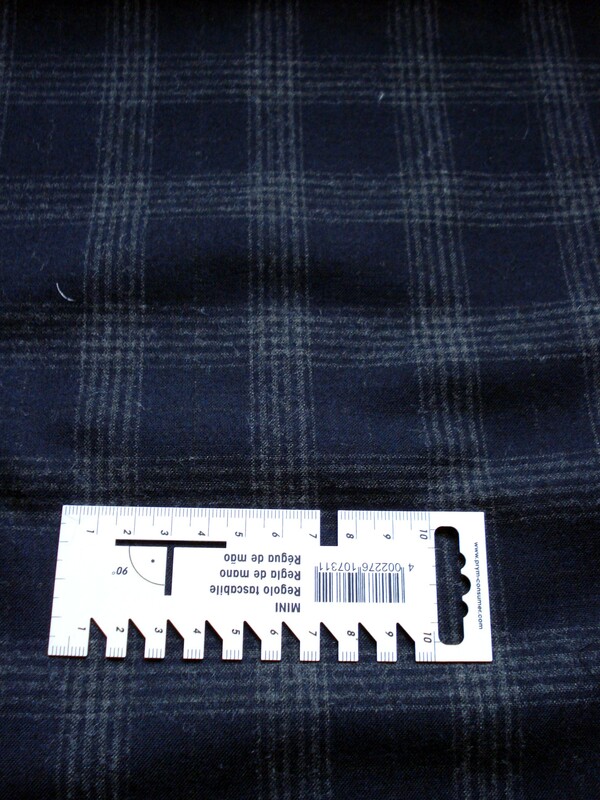 I have cut out the wool to make a pair of trousers using a Burdastyle pattern, and the silk is also cut, another Burdastyle pattern. Look for the finished articles this weekend, and on Burdastyle too! I think I may need another category for commercial pattern use, otherwise I really will only have sporadic posting! 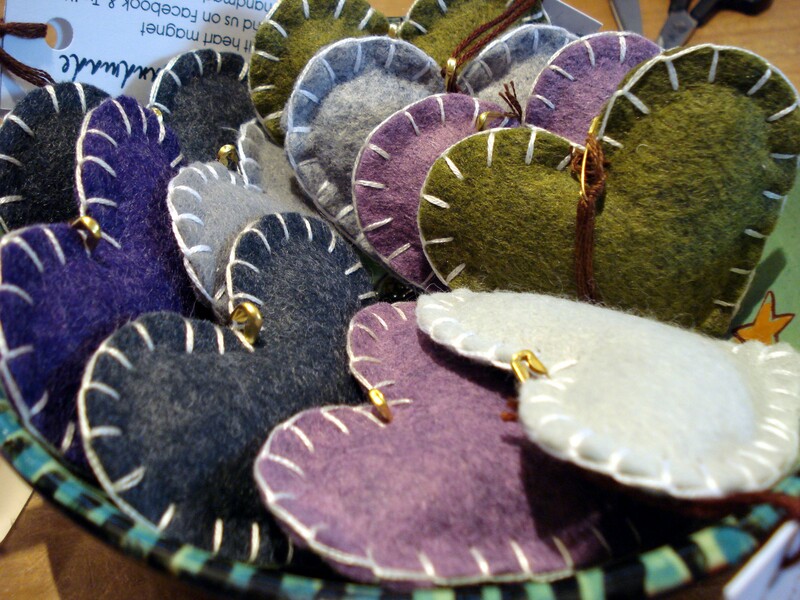 A bowl of felt heart magnetism..
Yup, they have little magnets inside! How cute to decorate the fridge with these? 😀 Right, I’m off to finish all these projects today! Talk about Sewing with a Plan!! Oh well done! I’m completely useless at self control when it comes to fabric! They sew up beautifully too! The wool has made a fab pair of trousers, and that silk is going to be one of my fav tops. It feel sooooo nice! 😀 I hope to get some pics up tomorrow! I would find it impossible to see a fabric shop from afar and not buy anything!! Lovely fabric choices too, that liberty oozes class. 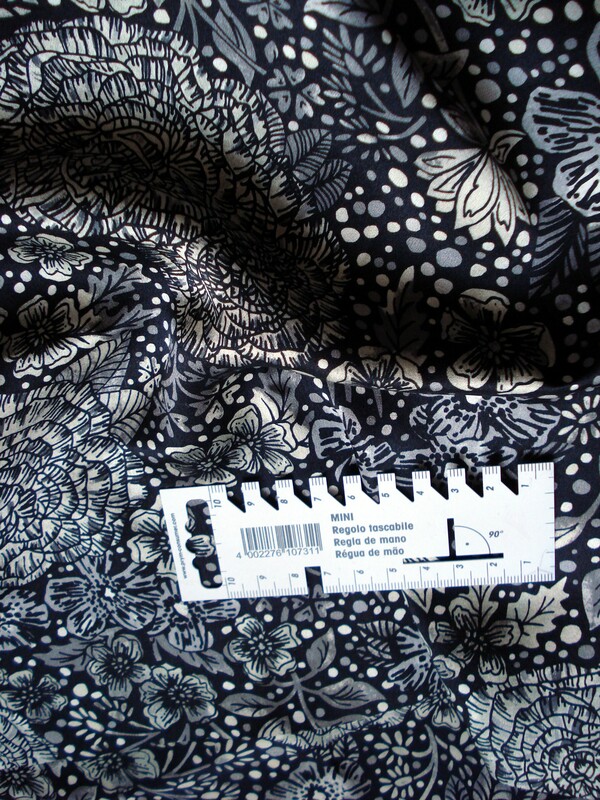 I’ve been reading your pattern drafting adventures and wonderful dresses for your daughters…. Very clever and they look fab. Thanks for coming by my blog! Fabric shops see me coming.. I have no chance. Loving your blog too! I share your obsession! I cannot resist buying more fabric when I dont have the time to sew anything 😦 let’s convince more people to join our group so I can see with you every weekend! I am the guilty party who dragged Anne into the shop! Hehe! That’s sew with you every weekend!